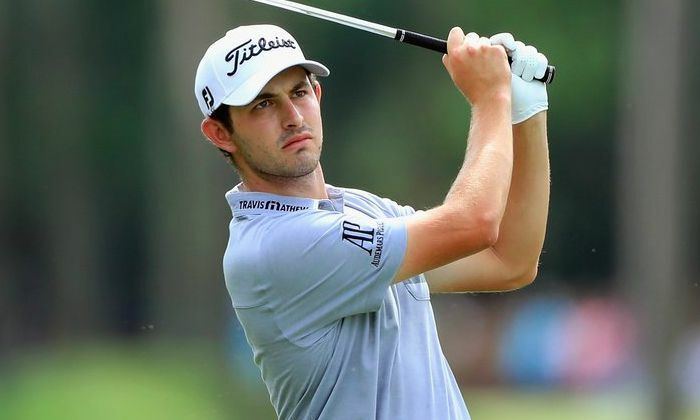 Patrick Cantlay is an American professional golfer who caught the limelight after finishing in a tie for 9th with a 10 under par through 18 holes at the 2019 Masters Tournament. He had a fantastic run as an amateur golfer, holding the number one position in the World Amateur Golf Ranking for 55 weeks. He has won one PGA Tour event at the Shriners Hospitals for Children Open with par on second extra hole. His career best finish in a major came at the 2019 Masters, where he finished tied 9th. Patrick Cantlay was born on the 17th March 1992, in Long Beach, California, United States of America. He is currently 27 years old. Residence Los Alamitos, California, U.S.
Patrick Cantlay was born into a golfers family. His grandfather, Big Pat, née Pat Neylen, a professional golfer, is one of his biggest inspirations who insisted him to play golf by placing the putting green in his backyard. He is the oldest of the four children to his parents Colleen Cantlay and Steve Cantlay. He has three younger siblings; sister Caroline, who plays golf at Cal Poly, brother Nick, who plays on the Long Beach State Men’s Golf Team, and brother Jack Cantlay. He attended Servite High School, an all-male, Roman Catholic college preparatory high school in Anaheim, California. There, he played golf for the school team and excelled the sport as he entered high school. He competed in a number of golfing events, becoming one of the best senior golfers, winning the California State High School Championship. After graduating from school, he won a full-time scholarship from the University of California, Los Angeles (UCLA). Patrick won four tournaments and won the Haskins Award as the most outstanding collegiate golfer in his freshman year in 2011. He won several awards throughout his college years before turning pro in 2012. Ever since he made it to the leaderboard of the 2019 Masters, everyone’s eyes were on him, looking for every possible information about him like who’s he dating? Is he married or does he have a girlfriend? But apparently, there is not much information about his romantic connections out there. When it comes to his personal life, Patrick Cantlay has been secretive about it, hardly sharing any information about his love life. The young golfer is quite active on social media, however, there’s no clue about his girlfriend on Instagram or Facebook either. Have you ever wondered how tall Patrick is or his physical attributes? Patrick has been playing golf ever since he was a child. During his years as a amateur golfer, he has own several titles and awards, becoming the world number one in the World Amateur Golf Ranking, a record that he hold for consecutive 55 weeks until Jon Rahm eclipsed him in 2016. In 2011, won four tournaments and won the Haskins Award as the most outstanding college golfer while he was still in his freshman year at UCLA. That year, he was also named the Golf Coaches Association of America (GCAA) Division I Jack Nicklaus National Player of the Year. It was actually a breakthrough year for him, winning several titles including the Phil Mickelson Award as the GCAA National Freshman of the Year in addition to being the Pac-10 Player of the Year and Freshman of the Year. He also won the Mark H. McCormack Medal as the top-ranked amateur in the world at the end of the 2011 season. Patrick took part in the 2011 U.S. Open and he finished in a tie for 21st. He skipped the last two years in his college to turn professional in June 2012. Not long before he turned pro, he made his professional debut at the 2012 Travelers Championship, where he missed the cut. His first professional win came at the 2013 Colombia Championship, an event on the Web.com Tour. That year he suffered a severe back injury during a warmup session and went on complete rest and at some point in time, he even decided to quit the sport and go back to college. But through intense physical therapy and rehab, Cantlay came back swinging but received another hard blow when his best friend, Chris Roth, was killed in a hit-and-run accident in Newport Beach, California when he was walking a mere 10 feet in front of Cantlay. He reached a low point in his life and through complete rehab and a lot of mental focus he returned to competition in 2017. He won his first PGA Tour title at the Shriners Hospitals for Children Open in November 2017. Cantlay has won a whopping $8,363,220 from his golfing career and in this season, he’s already earned $1,961,090. His net worth is estimated to be over $6 million. Cantlay began playing golf at the age of 3. Throughout his career, he has won several awards including, Jack Nicklaus Award (2011), Haskins Award (2011), Mark H. McCormack Medal (2011) and Ben Hogan Award (2012). His best finish at the U.S. open came in 2011, when he finished tied 21st. In 2018, Cantlay finished tied 12th and 27th, in two of the major four tournaments, The Open Championship and PGA Championship, respectively. In the second start of the 2018 season, he lost the title at the Shriners Hospitals for Children Open by one stroke to champion Bryson DeChambeau. He lovee watching movies and playing ping pong when he’s not on the golf course.